If you are looking for a classy boutique hotel which is a little away from the bustling market area but close enough for a walk to the Mall and the town center, Villa Everest can be a great choice. This is a family run hotel that has only 10 rooms and all with great views of the Eastern Himalayan Range and the snow peaks. However the rooms in the upper floor have better views. Villa Everest was built in 1907 during the British colonial days as a private home. It once belonged to the Mayor of Calcutta. In 2007, the current owners had taken over the property and converted it into a hotel. The hotel offers close to 2 star amenities in a country home like settings. 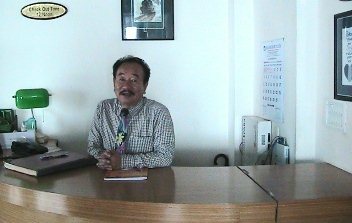 In fact, the structure and architecture of the building has not been changed from outside although the rooms have all been completely renovated and modernized. The current owners have added four additional attic rooms, out of which two are suites. Villa Everest is located at the turn of AJC Bose road from Gandhi road and is about 15 minutes of walking distance from the Chowrasta Mall. It is tucked right at the corner and at the junction of the two roads. As you walk into the building, there is a small reception counter. You will usually find Monlom or his wife Nita Edward at the counter who are owners running this boutique hotel. From the moment you step in you will feel at home, not just because of the overall homelike ambience and the settings, but also by the warmth and friendliness of the family members and the smiling staff. All the staff here are always well dressed up. The small and cozy dining space is right opposite to the reception counter having nice large bay windows. There are a few glass topped tables and cushioned wooden chairs that are laid out here. They serve breakfast and dinner. However you will need to order in advance. The homemade food served is quite good. For breakfast you will need to tell them on the previous evening about what you want. The hotel takes pride in serving home made food unlike in the other hotels of its category. 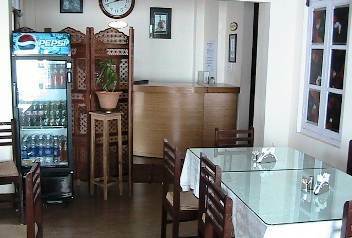 They offer Indian, Chinese and Continental food, both vegetarian and non-vegetarian. They also serve snacks. The rooms are spread across the ground floor, first floor and the attic. All rooms have large bay windows that open outwards and offer wonderful view of the Darjeeling's landscape and the mountains. Most of the rooms have curved cushioned seating below the windows for you to absorb the views as you relax and have a cup of tea. The rooms are spacious and fairly large. Out of 10 rooms, 8 rooms are of similar size, while the remaining two are suites and have a separate seating area. 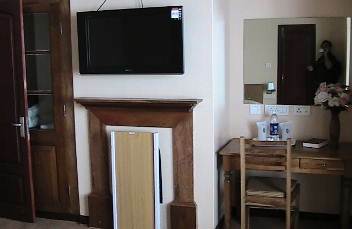 All rooms have Sony make LCD TVs fixed on the wall running satellite channels, nice fireplace, a table and a chair for doing essential desk work, a cupboard etc. The rooms have twin or king size beds. The hotel has wi-fi (wireless internet connectivity) and with your laptop you can access internet from all the rooms. I really liked the bathrooms. They are not only of modern western style, but also have a separate glass shower cage that are rarely seen in Darjeeling. Bathrooms are fitted with geysers for hot and cold water all through the day. While the geysers can store hot waters for sometime, they work when the main power supply is available (which is often a problem in Darjeeling). The hotel has power backup that supports some lights in the rooms and in other areas of the hotel. There is an wooden stairway with wooden arm that leads to the rooms and a lobby upstairs. Below the staircase, there is a table with chairs tucked in where you can have a cozy chat as you have your snacks and tea. Upstairs in the first floor the rooms are similar. There is a small lounge here with PCs having internet connections. So if you are not carrying your laptop, you can still access the internet from this small lounge. At the top floor there are four attic rooms which are special and really large. These are little costlier than the other Deluxe rooms. Two of the attic rooms are like suites and have a separate private seating area or a lounge having wicker seats and tables. 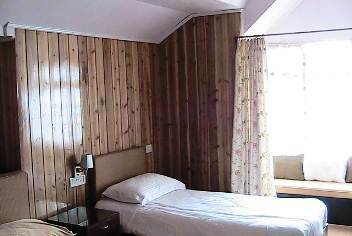 The attic rooms have wooden paneling in the wall and slanted ceilings offering a nice warm cottage like ambience. There is a cupboard in the room that looks like a glass cabinet and reflects an aura of great heritage. The attic rooms have either king size beds or twin beds. Tucked in the corner is a table and a chair. 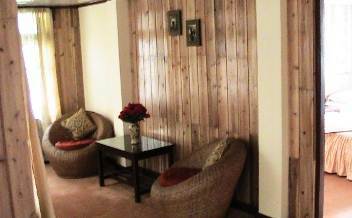 The rooms are furnished with LCD TV, cushioned seating below the bay windows and other modern amenities. 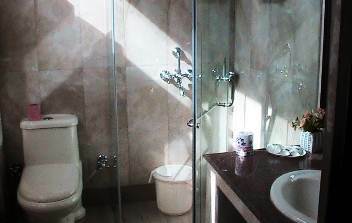 The bathrooms are similar with glass shower enclosures. 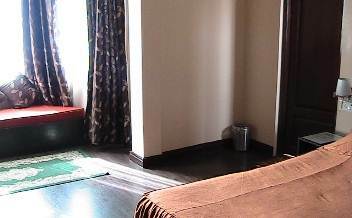 Other facilities in Villa Everest includes daily new papers, laundry, wakeup service etc. They also organize airport/railway station pickups & drops, sightseeing tours and treks. During the low season (July, August, December, January and February) they offer special attractive rates for backpackers that includes bed and breakfast. Update March 2014: Villa Everest has added one more room making it 11 in total. 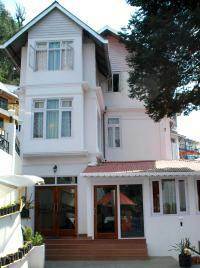 Villa Everest is a quality boutique hotel which has a tariff range in the higher side of a typical 2-star hotel in Darjeeling. The rooms in this colonial home has been modernized to provide great comfort. The rooms are fairly spacious and very clean. Although the management would insist that all rooms in the hotel have equally good views of Kanchenjunga snow peaks, I suggest that you do not take rooms in the ground floor. For best views take rooms in the first gloor (#4 or 5), or at the second floor (#8). Note that there is no elevator. The electrical heating system in the beds is a big plus point during the cold nights. The staff are professional and the family members take personal care and attention towards the guests. The hotel is little away from the Town Center, although at a walking distance from the Nehru Road and Mall. So you can expect a quiet stay and sleep. The food served is nice, although you will need to order in advance. They only prepare food against advance orders. However the menu is not elaborate. If there is one negative, it's the lack of a proper lounge area where you can sit & relax. Every space has been used up for the rooms. So while in the hotel, you need to be in your room unless you are eating at the smallish dining room. Villa Everest is located on AJC Bose road and steps away from the junction with Gandhi Road. The Clubside Taxi Stand (across Gandhi Road Police Point) is about 10 minutes walk and the Chowrasta Mall is about 15 minutes walk from the hotel. Near Circuit House, Darjeeling 734101, India.